Regular inspection of belts and hoses is very important because of their exposure to heat, vibration and contamination. 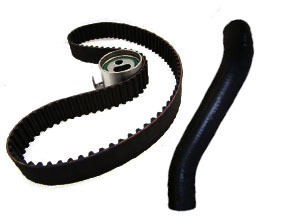 This service includes replacing worn belts and hoses, and adjusting the fit of installed components. Replacing belts and hoses will help avoid unexpected breakdowns and serious engine damage due to overheating. When should I have my belts and hoses checked or replaced?